The familiar sound of the engine hums reassuringly. The suspension communicates every detail of the terrain below you. Your hands rest gently, yet firmly on the grips. You don’t tell it what to do, it already knows. It follows your gaze, reads your thoughts. You trust the machine, and it’s never given you a reason not to. Is there a more intimate way to experience your surroundings than by motorcycle? A group of 9 friends, some of whom I’ve known since my college days, have started a tradition of an annual motorcycle trip to explore new places. This year (the 4th for this group) we decided to spend 6 days riding across Ecuador. The planning for a trip such as this starts well before the journey begins. Some of us live in the United States while others live in India, so we need to plan coinciding travel to our destination. We determine the route we will take and the road conditions so that we can choose appropriate motorcycles to rent. We also research weather conditions so that we can pack the right gear for the ride. Finally, we plan our stops for the night, preferring low-cost bed-and-breakfasts in small towns, with a chance to mingle with the owners and other locals. This year we also decided to add in a stop at a school to donate supplies through “Pack for a Purpose”. 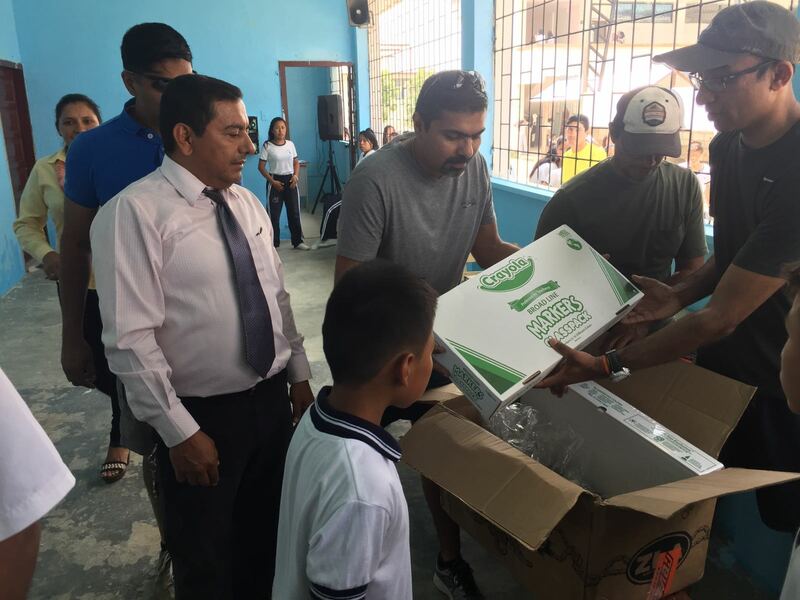 A month before leaving we ordered the needed items from Ecuador Freedom Bike Rentals Amazon store. They give all the proceeds from the sales from the store back to Pack for a Purpose. Since two of the guys in our group had rented a truck, it worked out perfectly for carrying the supplies to distribute. 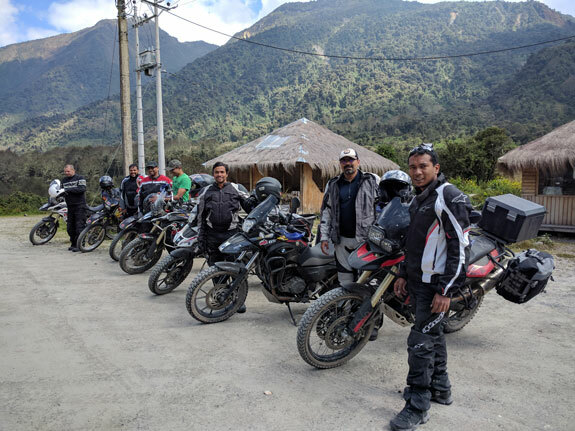 We started our tour of Ecuador in the capital city of Quito where we picked up the motorcycles we had reserved at Ecuador Freedom Bike Rentals and set off to our first planned destination. 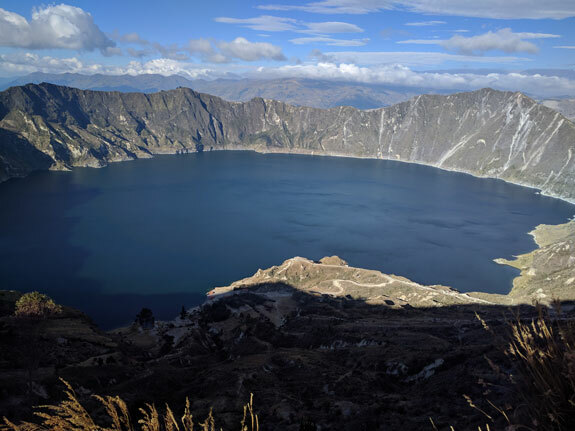 Through 6 days we rode to some of the highest points in the world like Chimborazo, and down to Puerto Napo in the Amazon region, from fog-covered mountains to barren, volcanic ash covered lands, to the lush green rainforests. Throughout our trip, we met some of the most friendly, welcoming people. The hosts of bed-and-breakfasts, small restaurant owners in remote villages, native tribes that welcomed us into their communes, and even strangers on the road. While in Puerto Napo, a guide recommended a local school in Cotundo, that would appreciate the supplies we had carried. 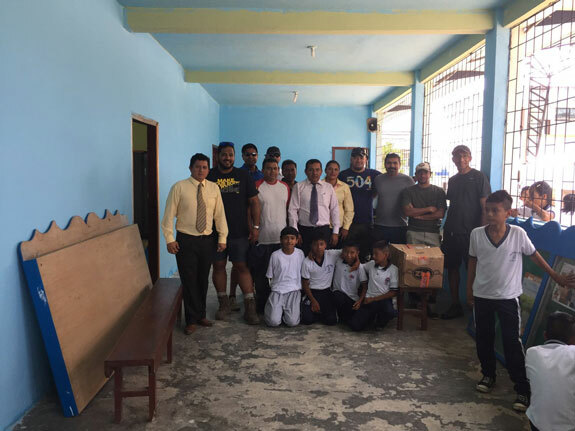 The school officials and students were visibly excited when we arrived and graciously gave us a tour of the school after which we met the Principal and some of the students to whom we handed over the supplies. The experience was certainly one of the highlights of our trip and we hope to add a “Pack for a Purpose” stop in to every trip of ours in the future.